Outfit planning can be daunting when you have one event to attend, in a season when its possible to have upwards of 4 occasions in a given weekend it can be downright impossible. We are here to give you some holiday wardrobe inspiration. Holiday outfits tend to revolve around sparkle, metallic and fabulous frocks, just a few of every girls’ favorite things. The little black dress is a holiday staple, there are so many beautiful silhouettes for the classic LBD, no matter your body type there is something fabulous out there for you. Some faves from this seasons racks can be found below. Ahhhh Winter White, it is just so pretty, clean and feminine. White creates a softness to any look, there is something about milky white paired with pops of color through makeup or accessories that can make any gal stand out in a crowd. Navy is another great choice for the holiday season, it is somewhat unexpected and a bit more on the classic or traditional side, gorgeous none-the-less. Some of our favorite style icons rock navy perfectly. Are you ready for the plummeting temperatures? Faux fur is a chic and guilt free way to stay warm through the chilly months. 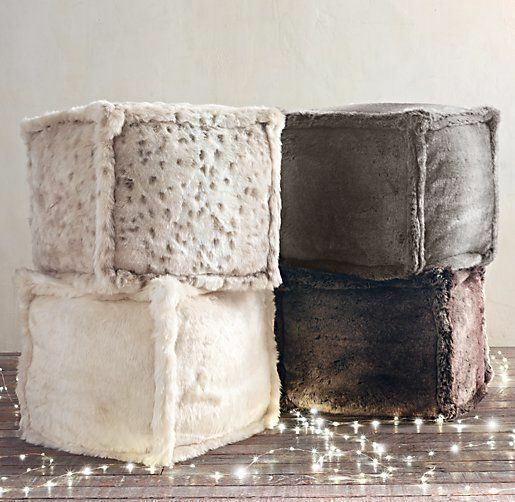 Whether you are reaching for your faux fur vest, snood, fabulous coat or cozy blanket, you are likely to be grabbing something made from a lush material that can often be mistaken for the real thing. The best part, faux fur is cruelty free and usually comes at a more reasonable price tag than the real deal. 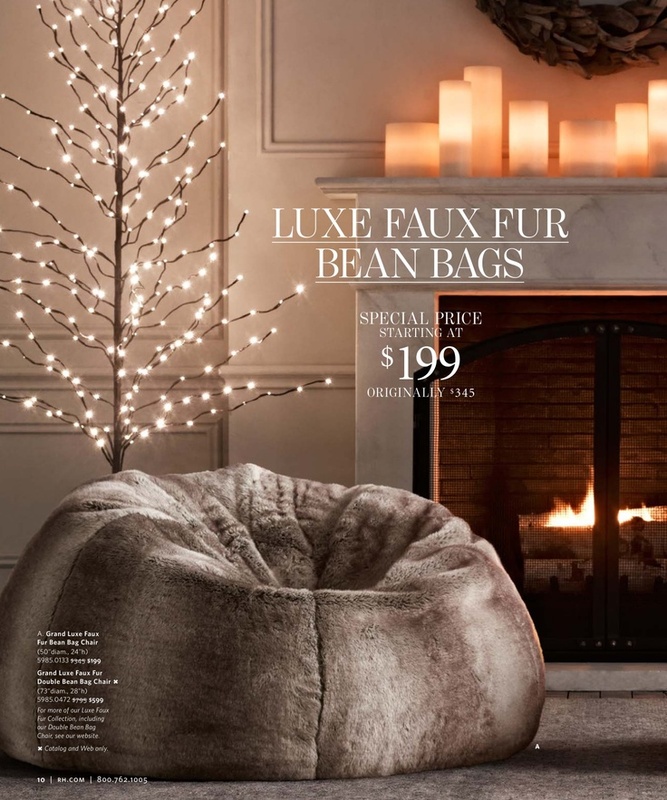 Restoration Hardware is carrying an amazing line of furniture and accessories made from faux fur. 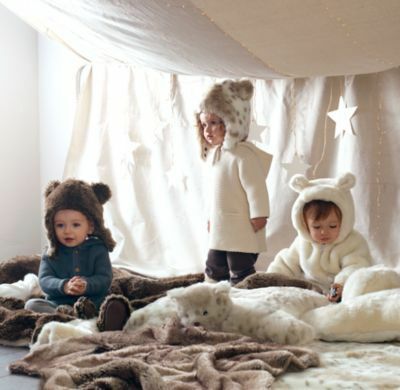 Ultra chic children’s hats, gloves, slippers and vests will make gorgeous gifts this holiday season.